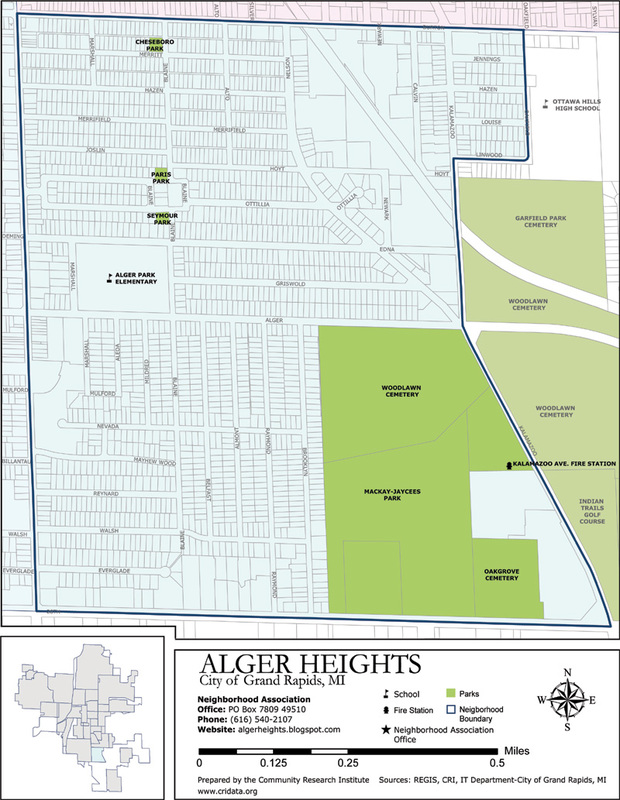 Alger Heights is a small neighborhood defined by 28th Street, Eastern Ave, Burton St, and Kalamazoo Ave in Grand Rapids. Although it is relatively small, Alger Heights is proud of its diverse variety and number of small local businesses. Historic homes, an easiely accessable community, excellent schools, and a number of annual events help to give this community its own special character. Alger Heights has many wonderful parks, a fantastic neighborhood association, and has available for use the Seymour branch of Grand Rapids Public Library. Alger Heights is a wonderful place to live. www.grnow.com - all neighborhood info.